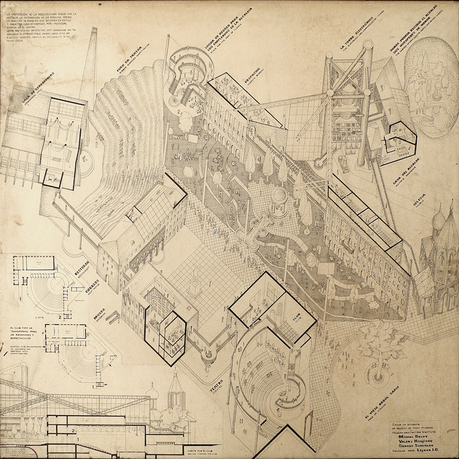 Mikhail Belov, Igor Pichtchoukevitch, and Dmitri Velichkin, Village House in Metropolis, entry for UNESCO International Competition for Students of Architecture, 1984, Moscow. Courtesy of Mikhail Belov. 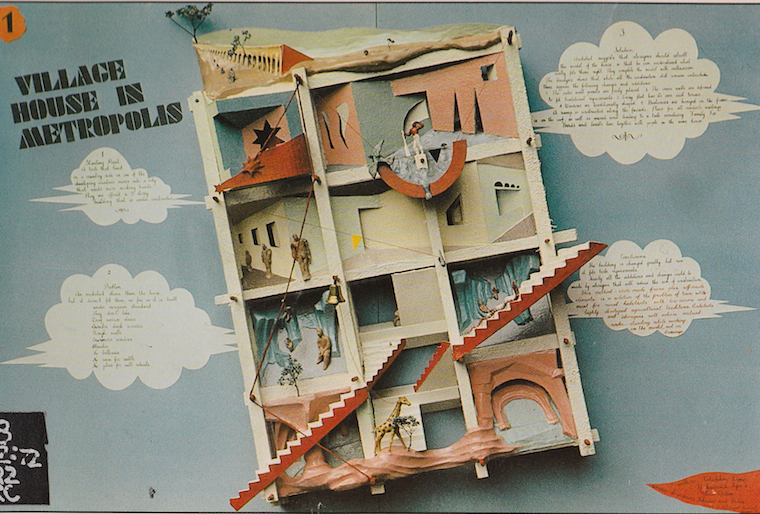 Paper Architecture was the name used in the Soviet Union to describe a body of works that countered inflexible building regulations by using imaginative architectural drawings and saw graphic work as its end result. 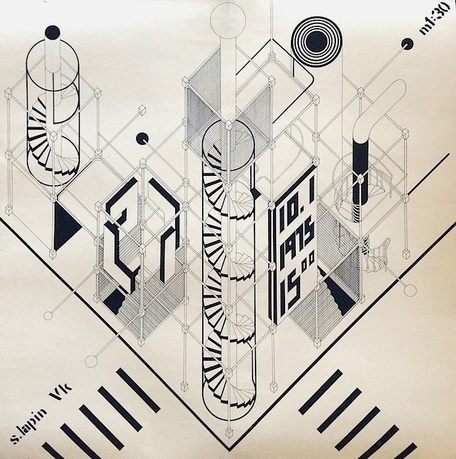 Gaining recognition in international competitions from 1970s onwards, the Soviet paper projects have often been seen as a withdrawal from official design practice, as they turned away from rationalist and collective values. This research proposes an alternative trajectory for analyzing the paper projects by studying their significance in relation to a particular form of socialization specific to Soviet culture and by placing the works in the context of debates about the urban environment in the late-Soviet period. This draws parallels with similar architectural discussions in the West, while maintaining differences in political and economic contexts. Andres Kurg is senior researcher and acting head of the Institute of Art History, Estonian Academy of Arts, in Tallinn. He has an MSc in architectural history from the Bartlett School of Architecture, UCL, and a PhD in art history from the Estonian Academy of Arts. His research looks at architecture in the Soviet Union from the 1960s to 1980s, in relation to technological transformations and changes in everyday life and values, as well as its intersections with alternative art practices. He has published articles in the Journal of Architecture, ARTMargins, and Home Cultures, and contributed to exhibition catalogues and books. He has coedited Environment, Projects, Concepts: Architects of the Tallinn School, 1972–1985 (Estonian Museum of Architecture, 2008) and cocurated Our Metamorphic Futures: Design, Technical Aesthetics and Experimental Architecture in the Soviet Union, 1960–1980 (Vilnius National Gallery of Art, 2011–12).